B2B content marketing strategy can be paralyzing. There are hundreds of techniques, frameworks, processes, and tactics flying around. You’re publishing often but the lead generation just isn’t there. Content marketing creation is there. You have a ton of content but it isn’t optimized for SEO. You’re struggling to come up with effective B2B content marketing strategies for your company. You’ve tried unsuccessfully to implement blogging that delivers on your content marketing goals. You’re struggling to articulate the content strategy to senior executives in a way that makes them excited. You use email marketing automation systems, like HubSpot, Marketo or Pardot, but don’t get enough ROI. You’re part of a small but mighty team that needs an efficient B2B content marketing strategy template to work from. You’ve read all the research, statistics, and”best practices” for B2B lead generation but still don’t know where or how to start. There’s just SO much stuff in the modern marketer’s world. There’s old stuff, new stuff, experimental stuff, technology stuff, and so on. It’s just a lot to handle. There are TOO MANY content marketing frameworks to choose from. But results fail to meet expectations. You end up trying a bunch of B2B content marketing strategies, only to get frustrated. Your C-level executives come asking about ROI and you have nothing to show for it. Wouldn’t it be nice to have one approach that just plain works (Instead of chasing a million different tactics)? There’s a better way to create B2B content marketing strategies for professionals and after years of testing our marketing services, we’ve identified the culprit for mediocrity, Blind Blogging. 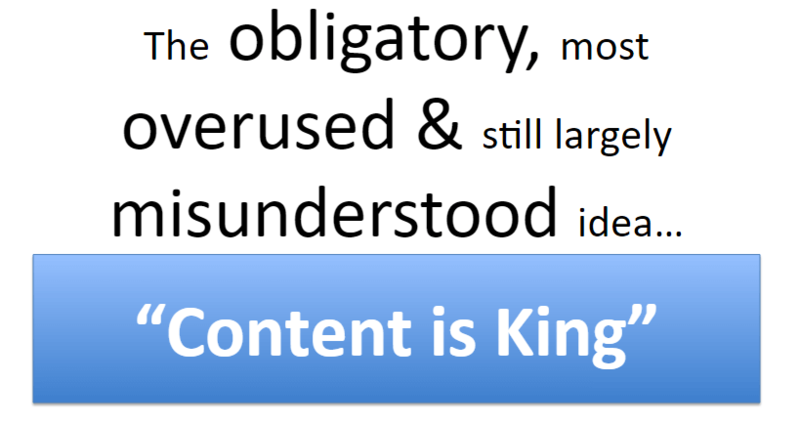 Content Marketing is king… but only when done right. Everybody thinks content is king but it’s the most misunderstood, misused, and still largely misunderstood concept out there. Content is not king if you’re not writing about stuff your audience cares about. But how are we choosing topics? Nobody has a good answer. 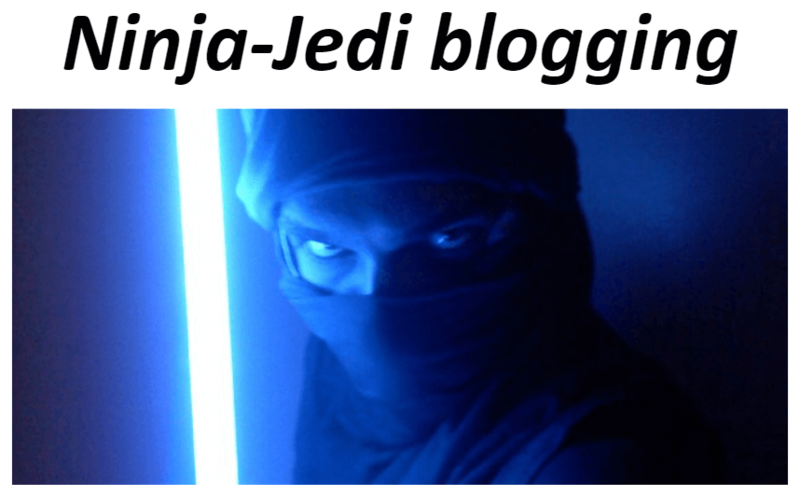 Dude 1: We should blog! What should we blog about? Dude 2: I don’t know. Maybe XYZ? Someone asked me about XYZ. Dude 3: No way, we should totally blog about ABC instead — it’s hot! Result: Dude 3’s idea took 3 months to launch live and generated a whopping 12 page views. Well done, sir. Boss: Damn these blogs. What’s the world come to? This is Blind Blogging. Without first outlining your content marketing goals and getting a thorough view of the landscape of options, you’re taking a sporadic approach that will get you inconsistent results. 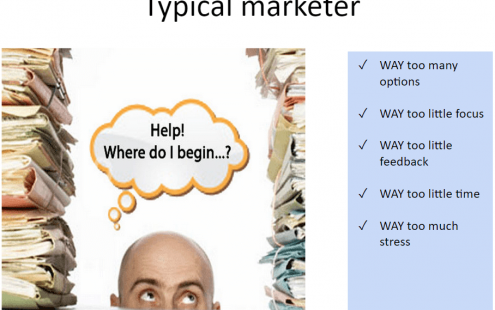 The average, frustrated marketer: unfocused with no results with their B2B content marketing strategies. With SEO, you’re guessing a lot of time, not getting lots of feedback, and handling random requests with limited time and lots of stress. It’s no longer an option for you to waste time; you must optimize your decisions by effectiveness. 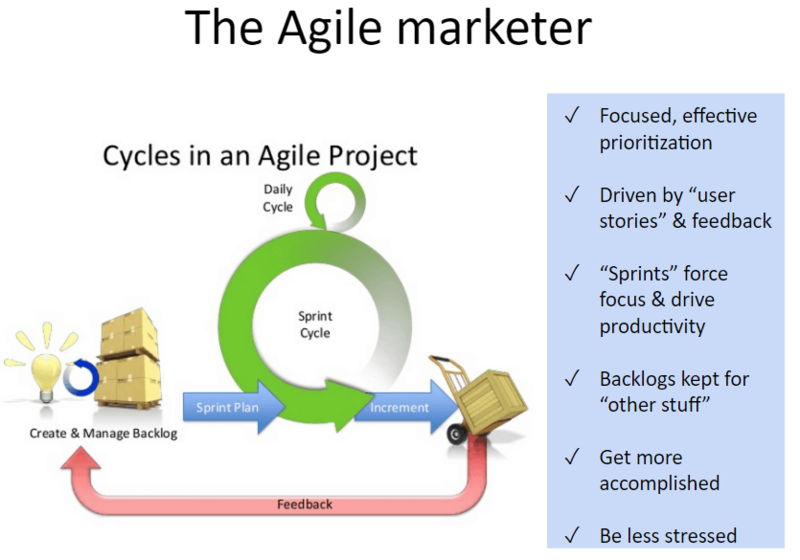 Instead of running around like a chicken with his head cut off, work in project cycles using the Agile lean process. Stay lean and focused if you want an effective B2B content marketing strategy. Take a series of tasks and lump them into projects and themes. You’ll be able to keep a backlog. You’ll be more productive since you’re using sprints. 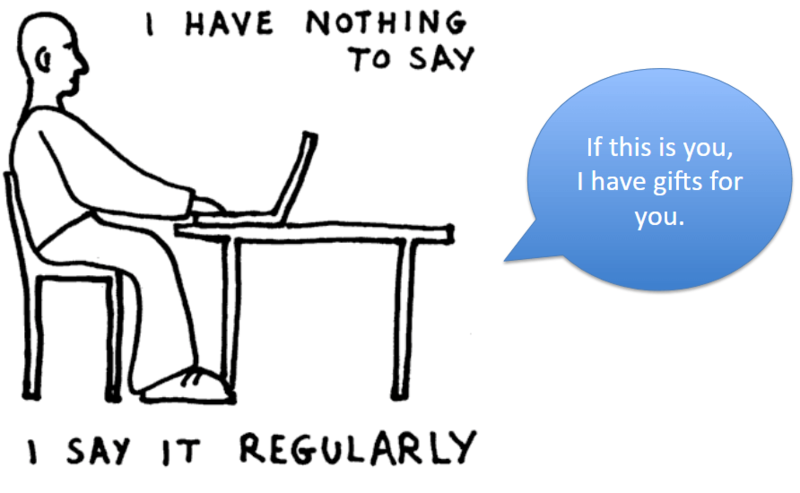 You can respond by adding certain things to the backlog. At a Mid-Atlantic Marketing Summit, WebMechanix’s Chris Mechanic revealed our secret sauce. In his talk, he shared a new approach to B2B content marketing strategies for dummies that anyone can implement and that has been instrumental to WebMechanix’s success in driving organic traffic and boosting conversions for our clients. A ninja is methodical and puts in the long, hard hours of work to prepare before he strikes. 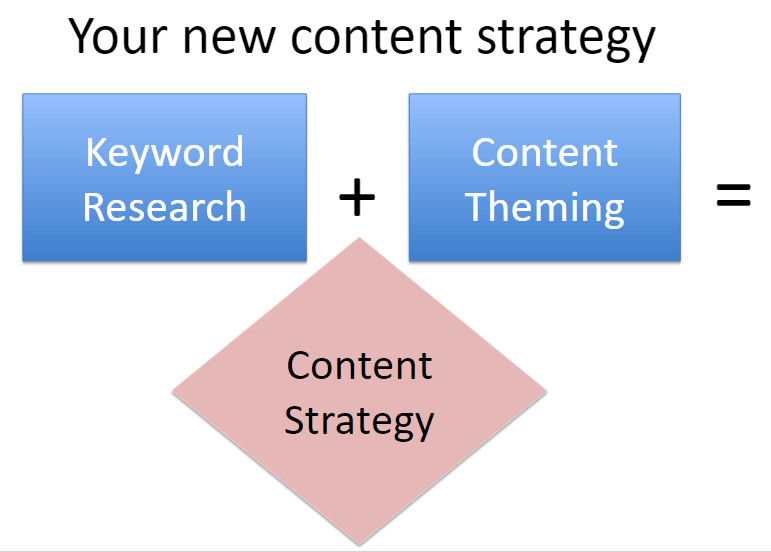 You want to do the same with your keyword research. Rather than having a scattershot approach of targeting whatever keyword you prefer, think it through. 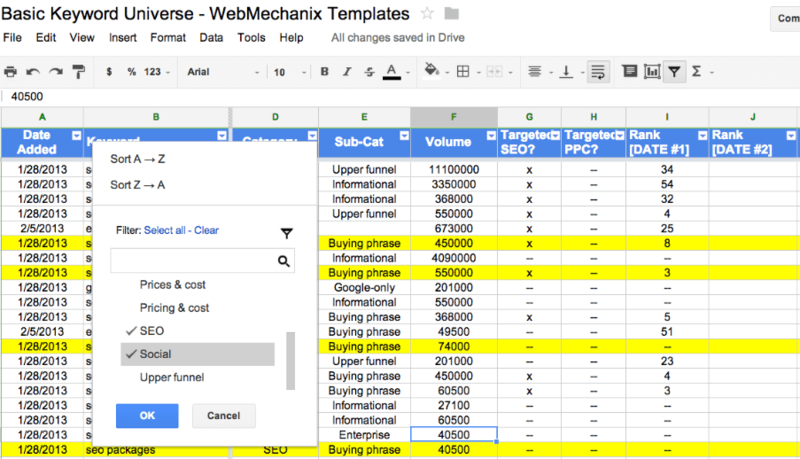 Build out a thorough keyword universe categorized by search volume and competition. Decide what low-hanging fruit is worth the squeeze. Grab a free keyword universe for your B2B content marketing strategy now. In our content marketing template, offered at the end, we break down the most effective keyword tools and techniques to find your top, juicy keywords (hint: pay hyper-attention to Google’s auto-suggest). Theming your content helps increase the authority of your site and rankings of each of these blog posts. This is because you are signaling to search engines what your site is about with consistent, relevant content wrapped around the same theme. Without theming, Google can get confused about what your site is about. 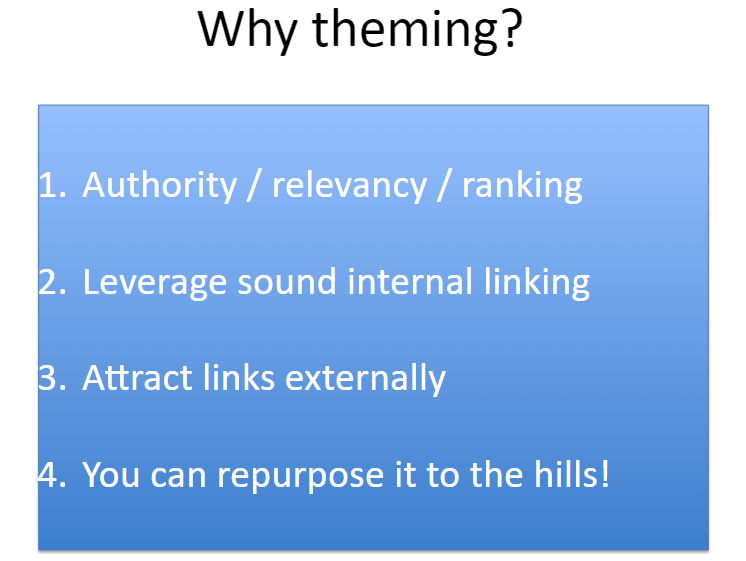 Also, theming helps leverage sound internal linking. It increases the opportunity for you to inter-link between related content, increase user engagement, reduce bounce rate, increase dwell time, and spread link equity — all great for SEO. In addition, internal linking is a natural beacon for attracting external links, a key factor in high search rankings. By consistently producing content around a theme, you’re building your reputation and momentum around a vertical. Finally, theming allows you to repurpose content in many ways. For example, with a series of four blog posts published one right after the other week-by-week around a theme, you can package that up into an EBook to use as a lead-magnet with little effort. Or you can re-package these as an email follow-up drip campaign or a full webinar presentation — the options are limitless. In the presentation deck we offer at the end, we outline the keys to successful content theming. Content marketing doesn’t have to be complicated and confusing. These tips are timeless and will work no matter what content marketing trends occur in the future. While there is extra ROI available with marketing automation (which we do with HubSpot) to your B2B content marketing strategy, that’s like icing on a cake. Without the foundation of a well-built out cake, which will contribute to most of your ROI potential, you’re leaving a lot on the table. We want to share all of our secrets with you. Why “knowing thy user” is the next big thing in content marketing… and 5 proven ways to do it. Check our content marketing template out and let us know what you think in the comments below.